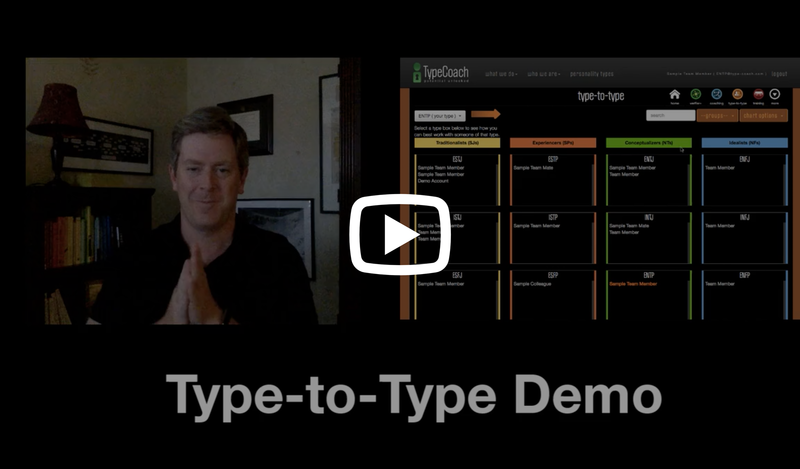 Type-to-Type is an interactive type chart that can be set to auto populate with the team members' names as they each complete the Verifier. 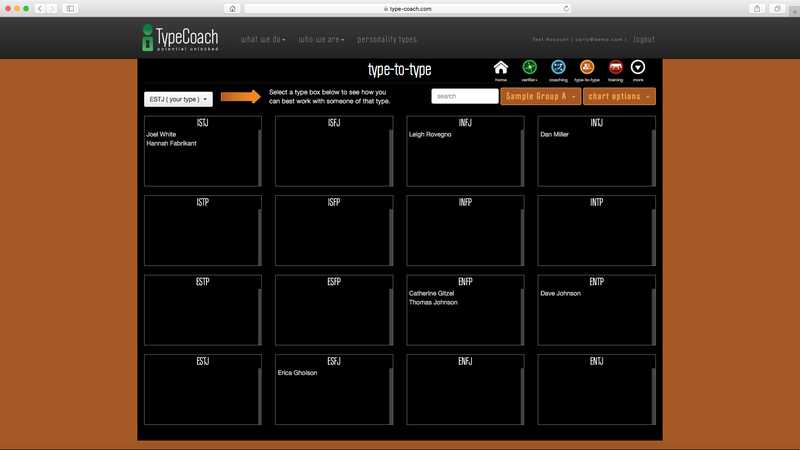 This tool can be set up in the traditional layout or the preferred TypeCoach layout with temperament columns. 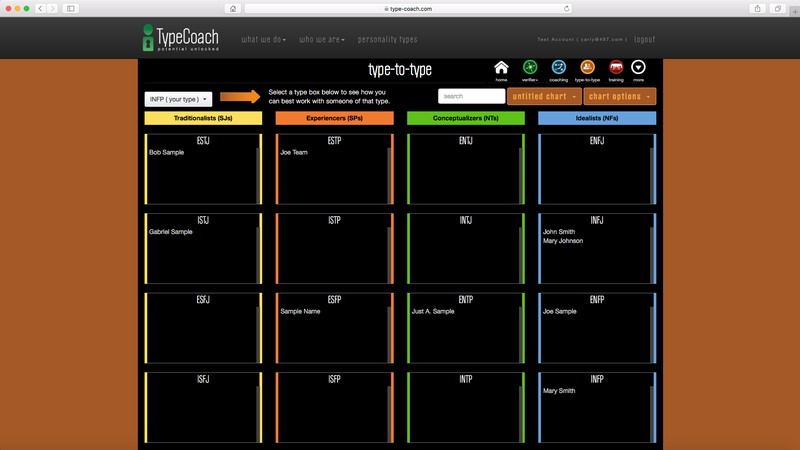 Click on any type or name to access top TEN tips for working with them based on the unique combo of YOUR type and THEIR type. Many types have videos as well with people of that type sharing tips for communicating with them. 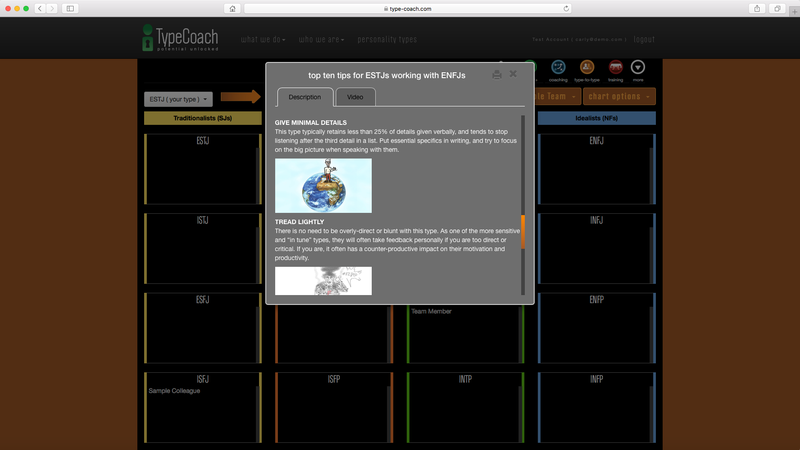 Type charts can be exported to PDF and easily printed to hand out in group sessions. Imagine knowing the top ten most important tips for interacting with any person. And imagine if that advice took into account not just THEIR personality type, but YOURS and the unique dynamic between your two types. That is the power of the Type-to-Type tool. Gain instant advice for working with anyone by clicking on their name. Sign up to get started. 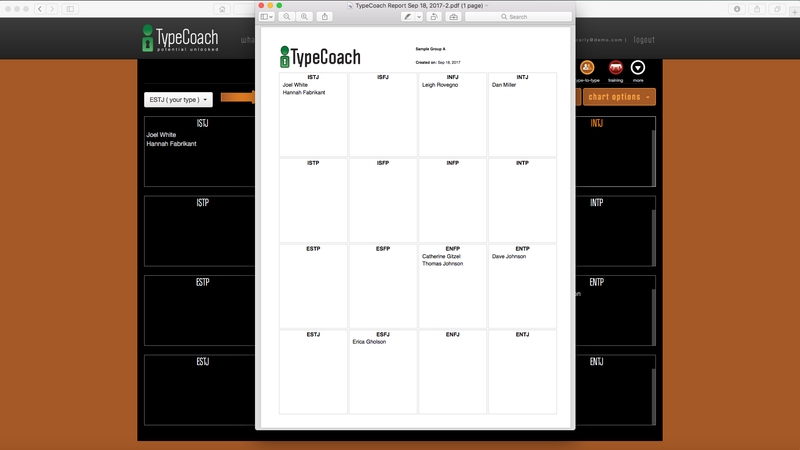 Or contact us to ask about type-to-type for teams!